First of all I would like to thank all of you for the encouraging feedback surrounding this new series, The Finished Look. My motivation behind beginning this series was to show how to wear the myriad of makeup we all have overtaking our bathrooms and vanities. No photoshop, no airbrushing, no professional artistry – just my own skills, which are commendable but by no means the best out there, and hopefully relatable to most of you. I worked behind a makeup counter at one point, and learned some great techniques, but that was many years ago and my skills do not match what they once were. That being said, I feel that most of my current experience comes from experimenting with products and wearing what feels comfortable for me. My goal is to show accessible looks from someone with an identifiable skill level, and how to wear those different looks and products in a way that works for a majority of women. Editorial, over the top glamorous or celeb inspired looks can be fun to admire from a far, but most of us will rarely wear such inspirations. 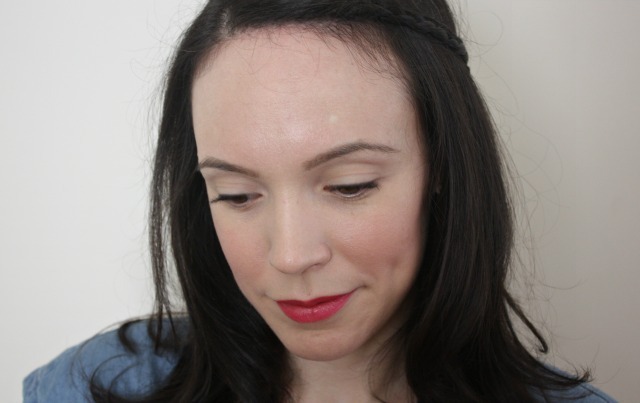 Today's look is a focus on bright lips and cheeks, that can easily transition into fall. But before I even get to the lip or cheek, let's start out by talking about one of my holy grail products, the Le Metier de Beaute Classic Flawless Finish Foundation in shade 2. The coverage is buildable and the finish is a natural matte, which I set with my Koh Gen Do Triple Lighting Foundation powder. 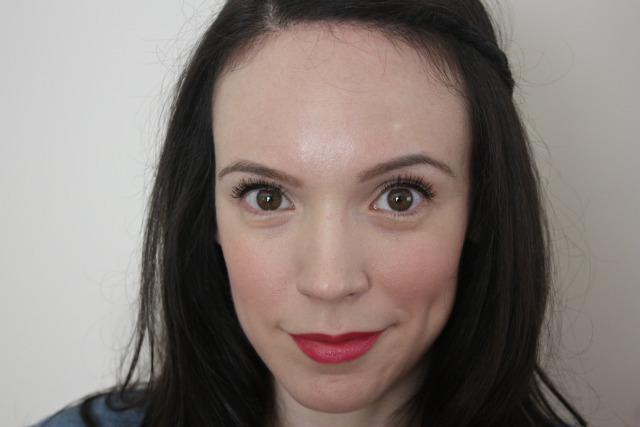 A quick swipe of my Burberry concealer under the eyes helps to add brightness, and my trusty Hourglass Brow Pencil in Soft Brunette helps to frame the face. 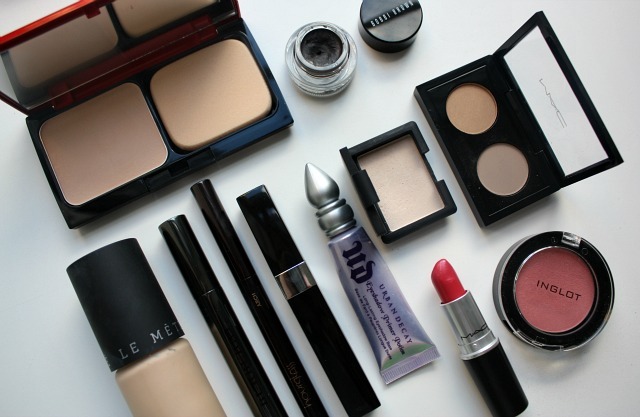 For the eyes, I apply my Urban Decay Primer Potion first to neutralize any redness on the lid, and then apply NARS eyeshadow in Edie on the lid and the MAC blond brow duo in the crease. Taking a very thin brush, I line the upper lash line with Bobbi Brown's Gel Liner in Caviar Ink, and finish off with a few swipes of Chanel Inimitable black mascara. This Inglot Face Blush in 59 has become one of my favorite colors for the summer as it gives a rosy flush that livens up the entire face. The true star of the look is MAC's lipstick in Speak Louder - a bold raspberry that gives a pop of color but will wear well into fall season with a darker palette. Overall an easy and wearable look, but one that still gives a polished finish. What is a look that you wear during the summer that would transition well into the fall? Leave me a comment below or tweet me @alittlebitetc. It's a very pretty, wearable look! Your lashes look fantastic. I love this series and can't wait to see more!